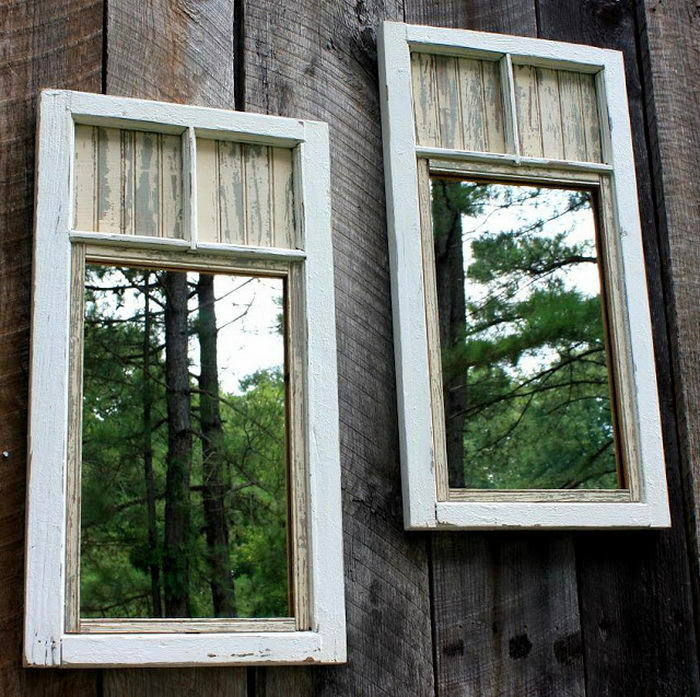 Our summer cottages and country houses can be wonderful places for peaceful rest, if it weren’t everlasting cares and troubles. Relax and enjoy the summer and we have 10 simple ideas that would bring back magic to your days and nights! Enjoy a cup of tea on your terrace by the light of holiday lights. Burn a candle in a beautiful cup. Stick a few solar outdoor lights in your garden and when the sun sets, it will get entirely filled with magical glimmer. 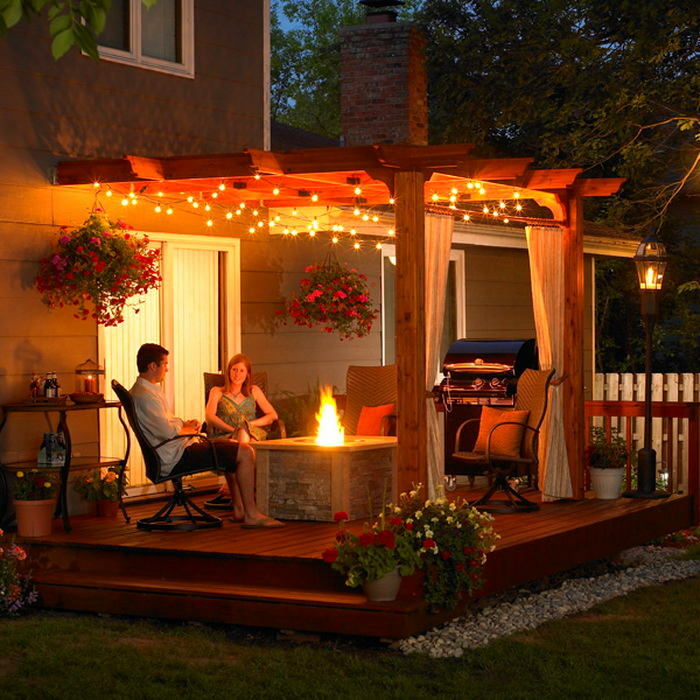 Find more stunning ideas and photos of garden lights in our previous post. Water is just what we need on hot summer days. 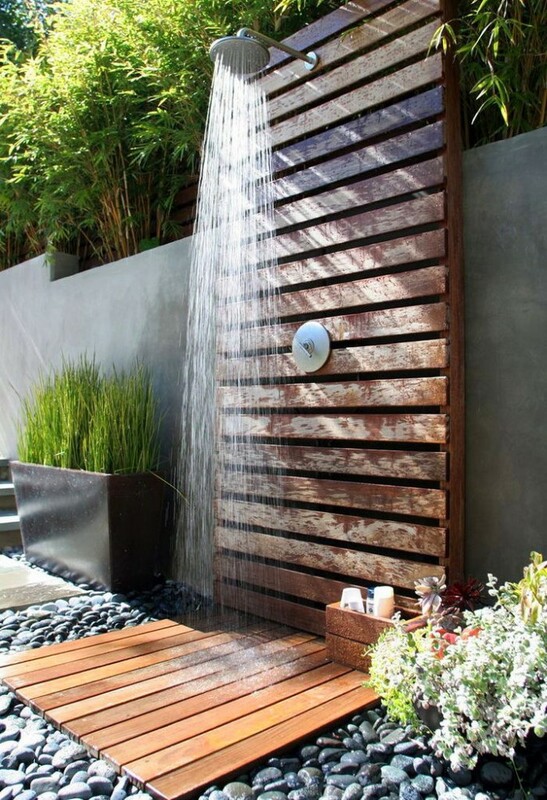 So, if you at least have a well in your summer house, it would be no problem to install a trivial outdoor shower. 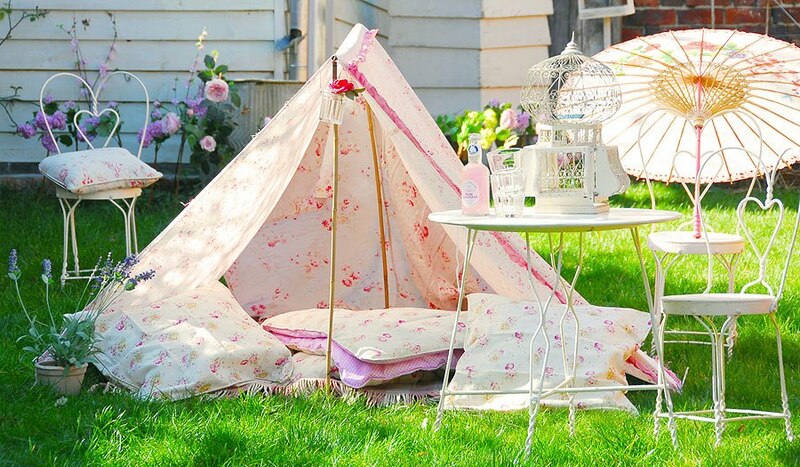 Just find a cozy nook for it and enjoy the freshness! Just a few fasteners and a piece of dense textile – and you already have a nice device for ideal summer time-spending. 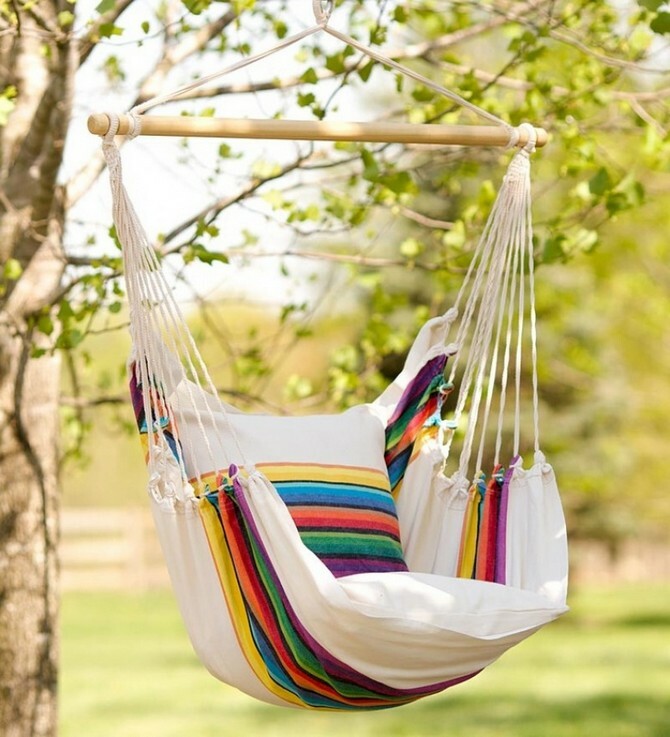 Swinging slowly in your hammock and sipping lemonade you’ll forget about all your cares and troubles in no time! You may be wondering where to get a glass of fresh cool lemonade, if your tiny country-house refrigerator is already packed with foodstuffs. You may bring ice from the city in a mobile mini-fridge or a special bag, and store the drinks in a common bucket put in your garden well. 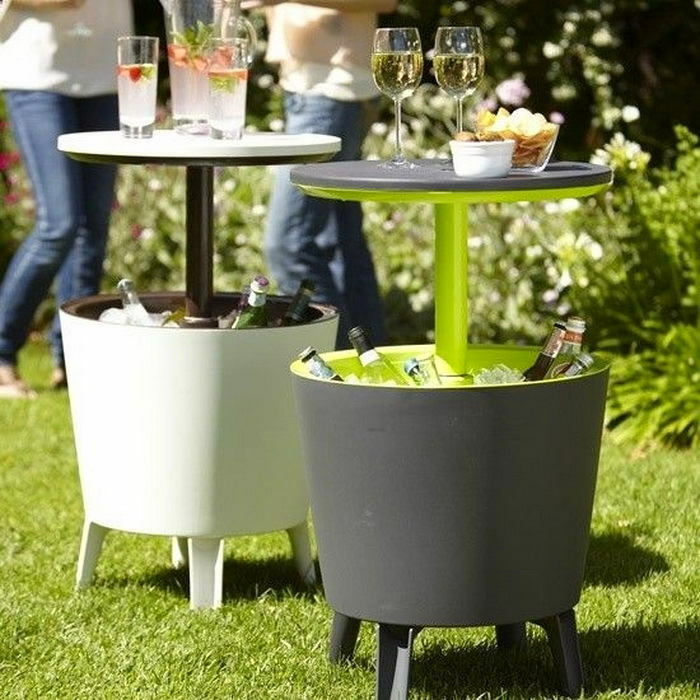 And buckets coupled with small coffee tables would form a nice piece for serving drinks at a garden party. Of course, you may dive into an interesting book anywhere, but having a private nook for this time-spending is most pleasing. 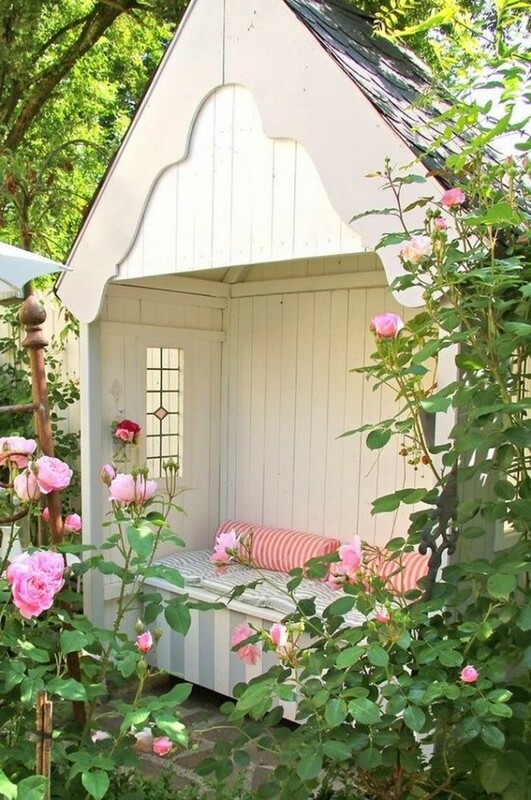 Arrange your reading corner in a gazebo, on a terrace or on a hammock under an overhang. Let this place be equipped with throw pillows, a roof in case of rain and a set of snacks that would help you enjoy the book endlessly. Jumpsports is a great fun and joy, but it also implies risk of injuries. 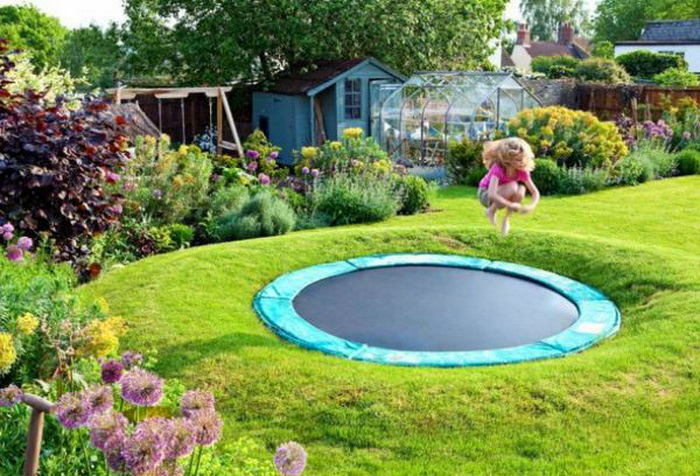 But if you dig a hole and put your trampoline on the earth level it will be the same joyful, but a lot safer. 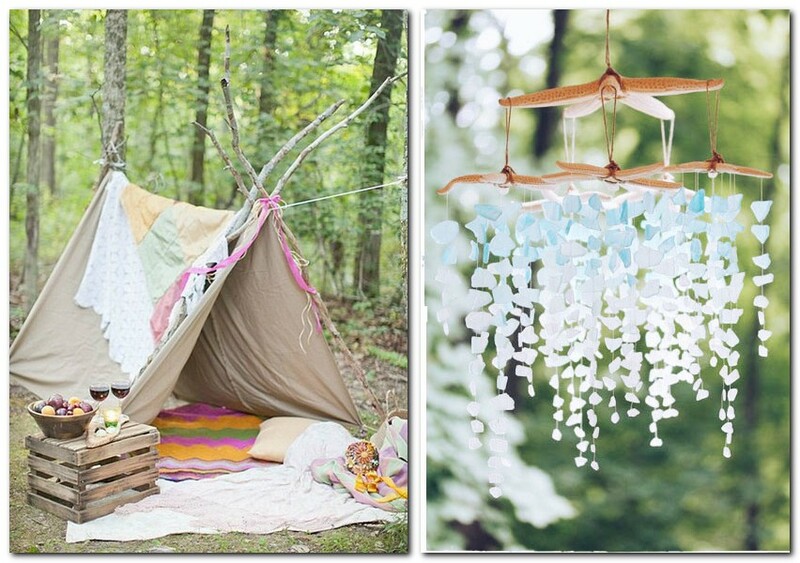 Soft sounds of tinkling bells will please you and scare off birds hunting for your fruits. 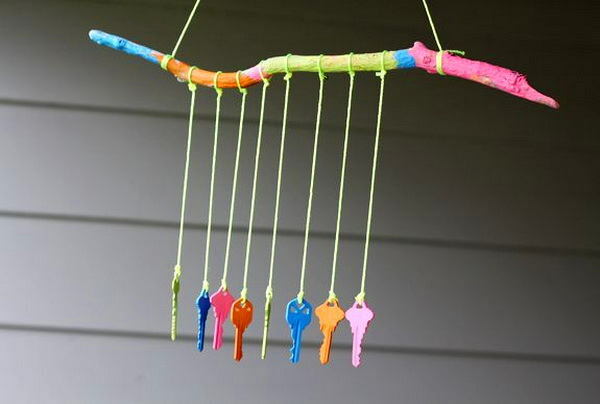 Get a chime in a store or better create the music of the wind from sea-shells, bottles or old keys on your own! Glass rocks can be found in almost any garden department or DIY store. 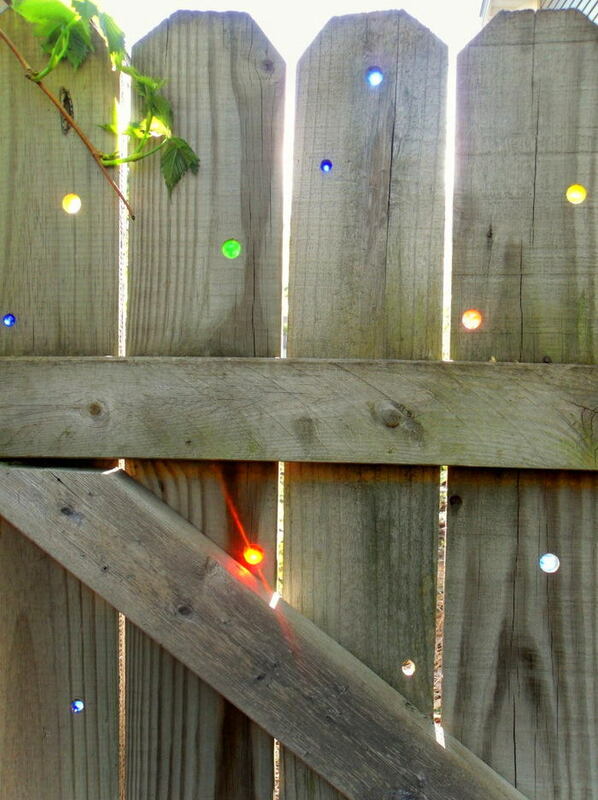 Insert them into holes in your fence and your garden will get a private ever-shining rainbow!